Painting Freedom began in 2012 completely on accident. 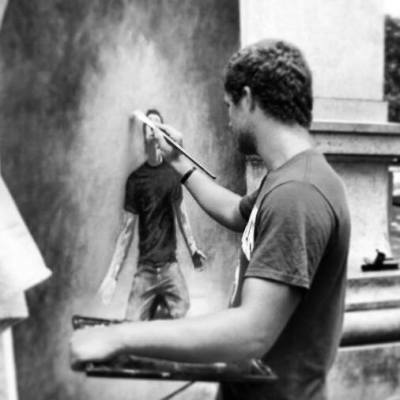 Executive Director, Tucker Rodkey was invited by a friend to paint in a park in Philadelphia. As the two of them were painting, random strangers began asking questions about the artwork. Tucker and his friend used those opportunities to share the Gospel. From that day forward a fire was started in Tuckers' heart to use the arts to share the Gospel and move the church to action. Since that day in the park Tucker has traveled all over the United States painting and preaching the Gospel. 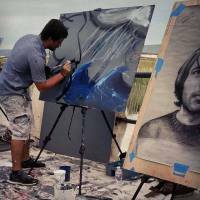 This traveling ministry developed into Painting Freedom Ministries, a collective of artists using their gifts to spread the Gospel! Painting Freedom started as an outreach group. If you are interested in reaching your community in a fresh, exciting way, contact us today! Whether it is a retreat, Sunday Service, Special Event or something else, Painting Freedom can engage people wherever they are at. Contact us today! Painting Freedom can make any conference unforgettable. 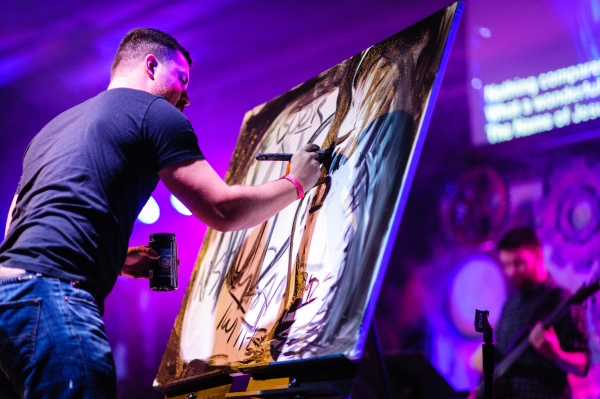 Between music, live art and Painting Freedom's unique messages, your attendees will leave inspired and invigorated. Painting Freedom's presentations can fit any event, anywhere at any time. They have performed on the streets, at churches and more. 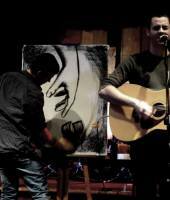 Check out different venues that Painting Freedom has spoken and performed at then shoot us a message. Painting Freedom has an incredible gift for connecting with students. If you are looking for a speaker to connect and inspire the next generation, contact us today!